Hiked up Sonora Peak on Saturday. It was windy and chilly. Not a surprise for mid October. 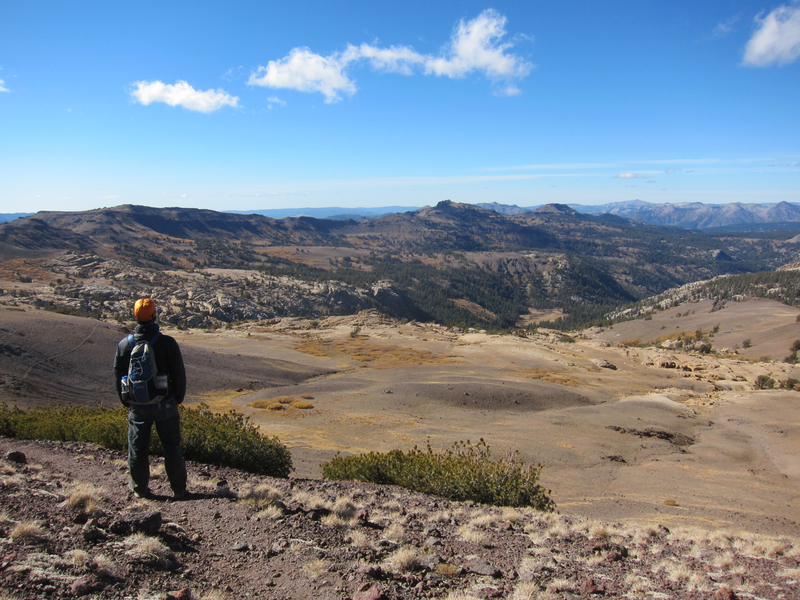 We were thinking of taking the ridge to Stanislaus Peak but the cold and altitude motivated us to head lower instead. The fall colors were stunning. It’s going to start snowing up there tonight. Looking out into Carson-Iceberg Wilderness. Showered, unpacked, and have my photos posted within 75 minutes of getting home. That’s got to be a record.